What's this? 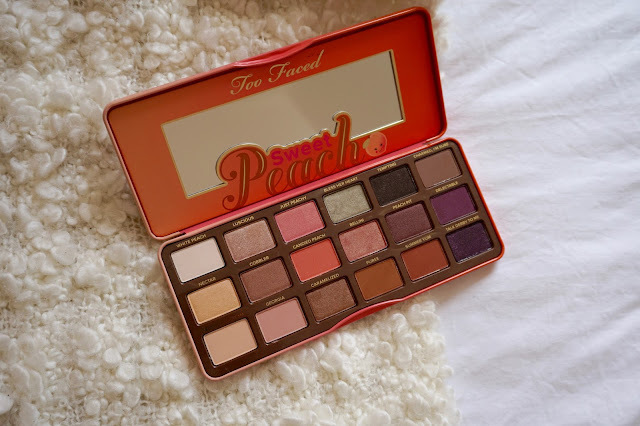 Too Faced brought out their much anticipated palette at the beginning of May, and I got my hands on it as soon as Debenhams released it! Having seen countless tutorials from the US Youtubers, I knew this palette would be right up my street. As the name suggests, it's full of peachy toned shadows, packaged in the cutest peach scented palette! Where can I get it? Now.. here's the catch. I'm pretty sure this was limited edition, so I'm not sure how easy it will be to get your hands on it now! Debenhams stocked it here in the UK, and you can probably still get it from Sephora etc. I imagine the popularity of this product will hopefully make it permanent so you never know! For reference, it was £39 for 18 shadows. 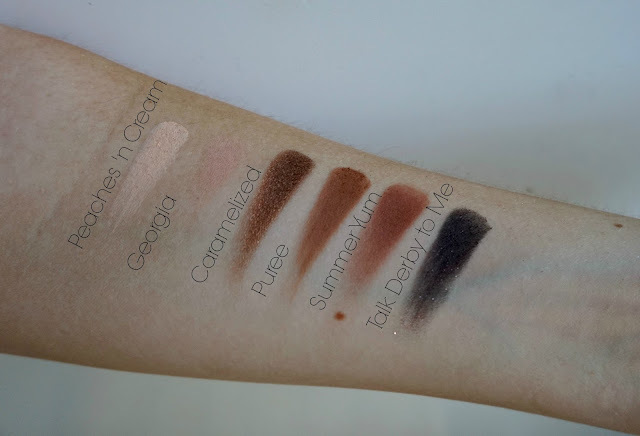 Swatches? 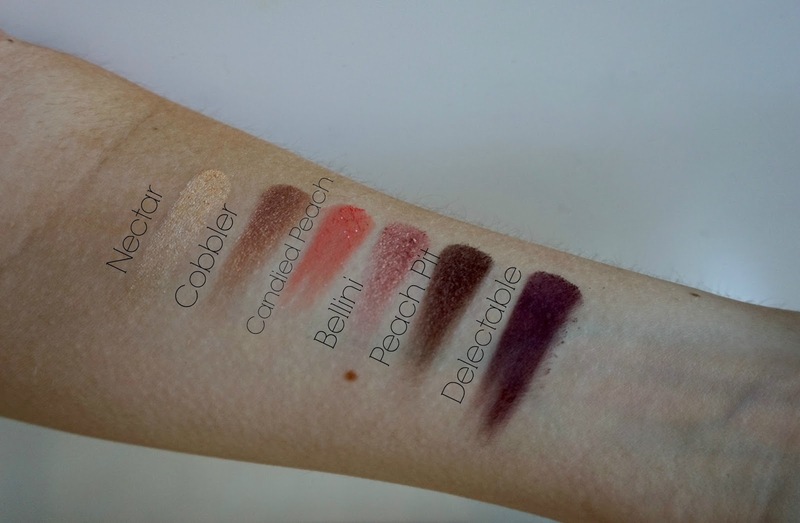 Fully labelled swatches of each row in the palette are below! The Pros... As with other Too Faced palettes, this really does deliver in terms of pigmentation and lasting power. I feel like every single one of the shades is wearable, and I"m definitely aiming to try and use every shade at some point! I've already done 2 looks using this palette on my Instagram here and here if you need some inspo. My favourite shades have to be Bellini, Nectar, Puree and Summer Yum. The value for money is obviously amazing too - £2 a shadow! The Cons... Obviously, the fact that it's currently impossible to get is a con - but I promise you it's worth the hunt if you want it! 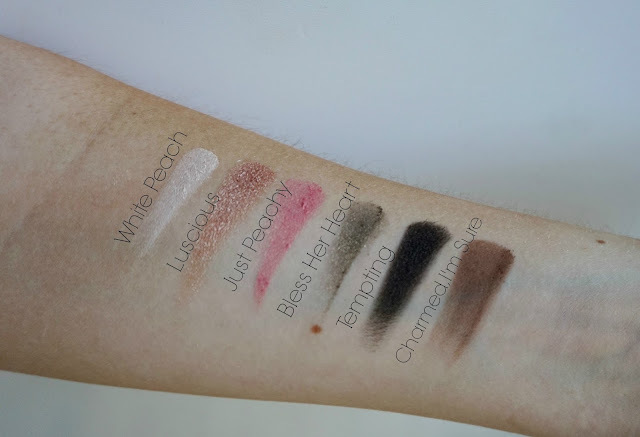 A couple of the shades have less pigmentation than I'd like - Georgia, Talk Derby to Me and Charmed, I'm Sure, but other than that I'm pretty impressed. What do you think? Do you have this palette/want it? Let me know your thoughts in the comments!